Find available city courts and get information about their locations. 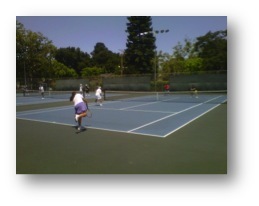 Improve your game by working with personal instructors or by taking lessons from the Palo Alto Recreation Department. An explanation of the role of player ratings in Club events and USTA league play. A collection of miscellaneous tennis-related links organized by category.